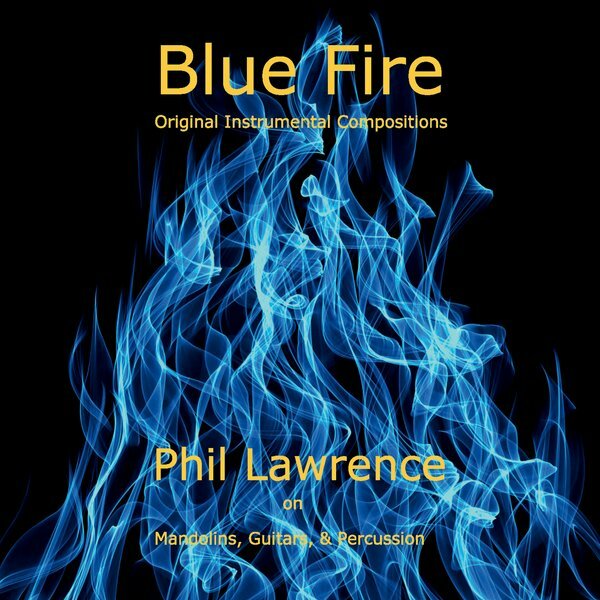 This downloadable CD has six original acoustic instrumentals by Phil Lawrence. Radim Zenkl, the world-renowned Czech mandolinist, appears as a guest, adding his sublime artistry to the project. Joe Yamamoto from the legendary Japanese band The Nessi Expedition, plays both guitar and violin on this recording. Piper Heisig from Cats and Jammers plays the upright bass. Other guests include Tony Marcus, also from The Cats and Jammers on violin, Jean Jacques Vergnaud on guitar, and Bill Foss on bass. Truly an assembly of some of the best musicians in the San Francisco area, this recording offers a variety of musical genres and styles. 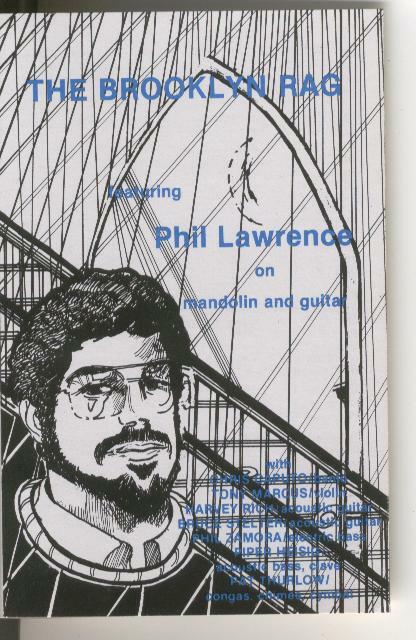 This is Phil Lawrence’s first recording. It was issued as a cassette in 1981. It opens with the original composition "Trans Siberian Express", a powerful new-grass type fiddle tune that features Tony Marcus on violin and Jean-Jacques Vergnaud on guitar. Michael Berst plays hammered dulcimer on "Over the Rainbow" and "Golden Slippers". 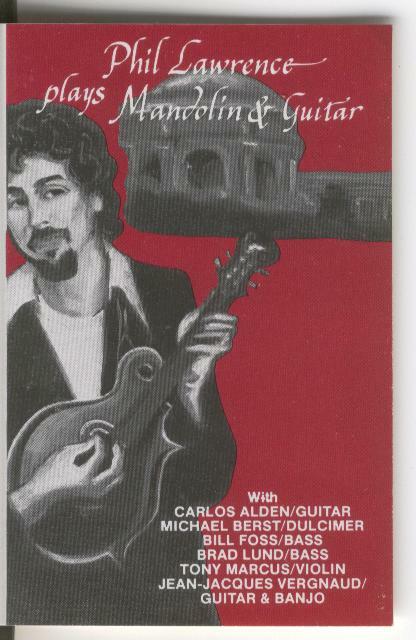 Carlos Alden, who now plays with The Celtic Nots, also plays guitar. 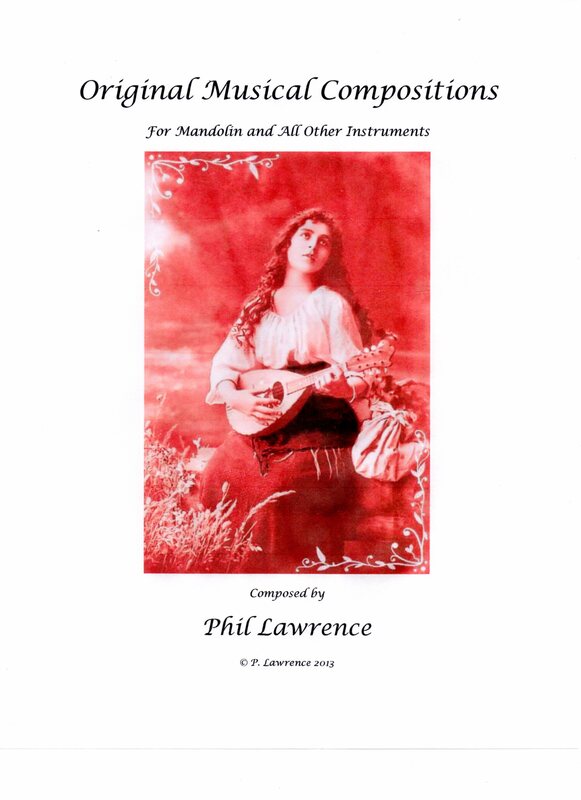 "Over the Rainbow" and "Tulip Blossoms", an original composition, also appear on the Mezzotint CD. Recorded by John Blakeley, whose band, The Sandals, performed and composed the soundtrack for the movie The Endless Summer. John Blakeley also performed with Stoneground, Van Morrison, and he appears in the Martin Scorsese film The Medicine Ball Caravan along with B.B. King. This recording is now available on CD in combination with The Brooklyn Rag. This 25 minute mini-cassette was issued in 1984. It has five original compositions, all different in style. It begins with the title track, "The Brooklyn Rag", which again features Tony Marcus on violin. Bruce Stelter plays guitar and Piper Heisig from Catz and Jammers plays bass and percussion. The last composition "Esperance" has a chamber ensemble:violin, cello, and viola, providing an classical-sounding background ambience. 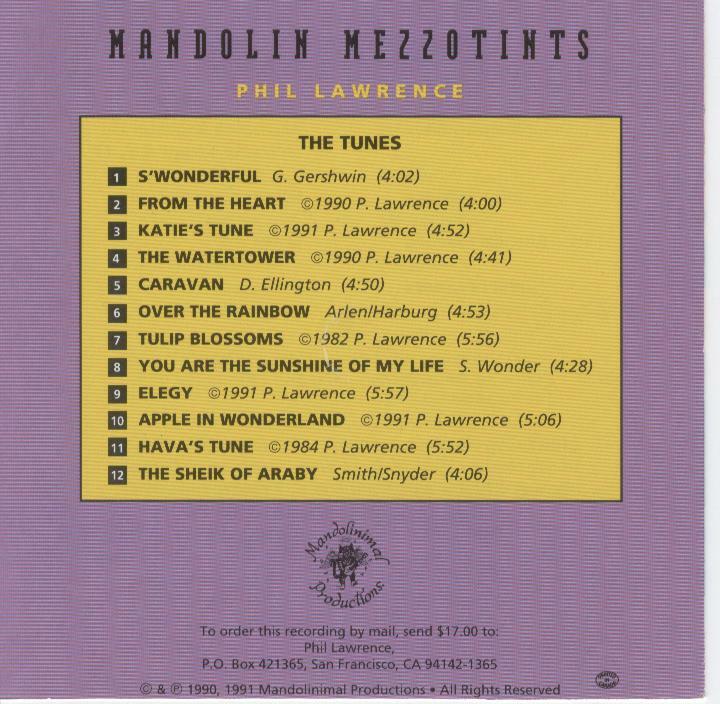 The lyrical waltz, "Hava's Tune, also is included on the Mezzotint CD. Two Latin-style pieces also add flavor to the recording. Also recorded at John Blakeley's Duncan Street Studio in San Francisco. This recording is now available on CD in combination with the above recording. This acoustic jazz trio is Phil’s former musical project from 2005 to January 2009. It produced two CDs. Play It Cool, Play It Hot and Spontaneity Thrilled the Cat. The first has 73 minutes of music and the second has just over 70 minutes of music. Stephen Tamborski plays guitar and sings and Dalton Dillingham III plays six-string acoustic upright bass. The band plays some original Phil Lawrence tunes and a variety of jazz standards. The trio formed in February of 2005 in Stephen’s garage studio. 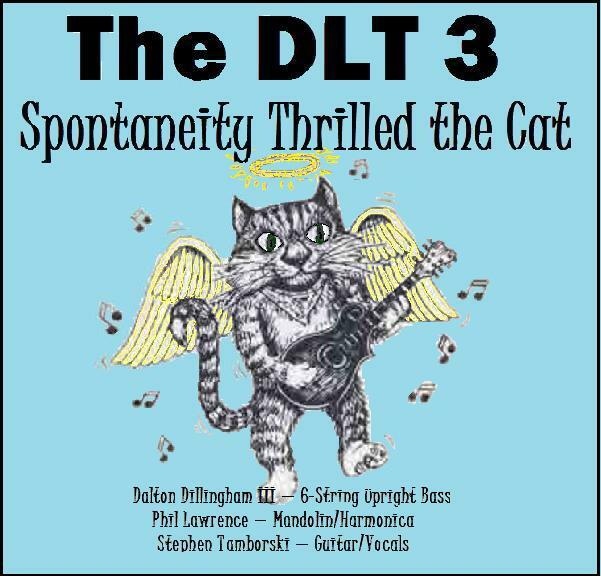 The DLT 3 recorded most of their garage rehearsals and jams and these two CDs represent selections from those spontaneous sessions. The playing is tasteful and sophisticated. Dalton has over 50 years of professional experience, having played with Louis Armstrong, Bill Monroe, and Tom Waits, to name only a few. Stephen recorded with Maria Muldaur and David Grisman on Ms. Muldaur's On The Sunny Side. View a Video of "Lover Man"
This cassette features the vocalist Katie Carleton. Ron Gersten plays guitar and he also composed some of the songs. 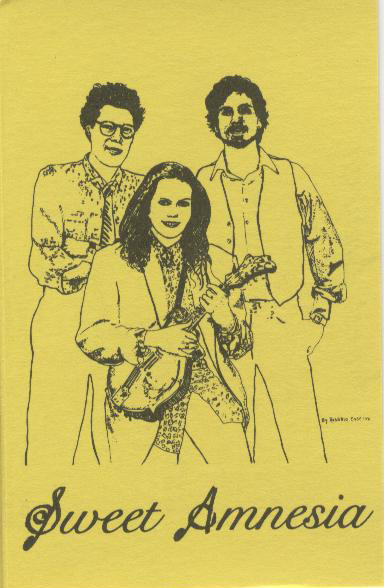 This San Francisco based trio played in North Beach cafes in 1986 and 1987 until Katie became ill with bone cancer. The band continued to record even while Katie received treatments for her illness. On the opening track, "Reach Across Heaven", by Ron, Katie adds several harmony parts to her melody line; the result is a deeply emotional and beautiful vocal tapestry. She also adds four part harmony to her version of the Jefferson Airplane's "White Rabbit." Phil and Katie co-wrote the music to "Mojave Reverie" with Harvey Rich (formerly with Steve Seskin); the lyrics were written by the Grammy Award nominated Roberta Donnay. 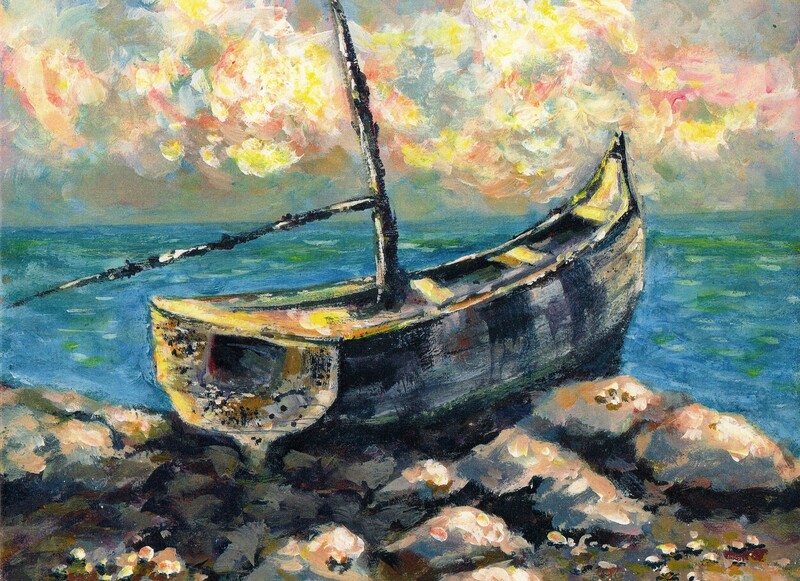 They describe a mysterious dream leading the dreamer to an unknown country. Katie Carleton induces the listener into a mystical trance with her passionate vocals.. Recorded at John Blakeley's Duncan Street Studio. This recording is now available on CD in limited numbers. 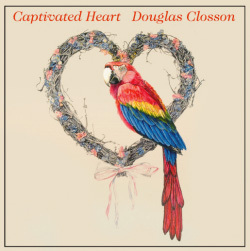 This cassette recording features Michael Berst on hammered dulcimer. It contains old-time American square dance tunes played in a style common Michigan and the Midwest around the early 1900's. It was recorded in March 1981 and sold on the streets of San Francisco at Fisherman's Wharf as Michael and Phil played as a duo. This is Phil's first foray into professional recording and his introduction to old-time American music. This live recording features the powerful and melodic country singing of Karin Akin. Andy Padlo wrote all the original songs and plays guitar and sings as well. Joe Yamamoto plays violin and guitar and Phil Lawrence plays mandolin and lead acoustic guitar. It was a privilege working with Karin, perhaps the best vocalist Phil ever had the opportunity to perform with live. The live audience adds an element of excitement on this recording. Gregg Allman of The Allman Brothers later recorded one of Andy's original songs. This recording is now available on CD in limited numbers. 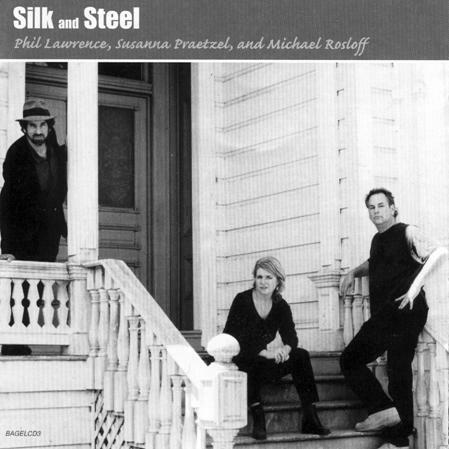 This trio features the singing and songwriting of Susanna Praetzel and her husband Michael Rosloff. 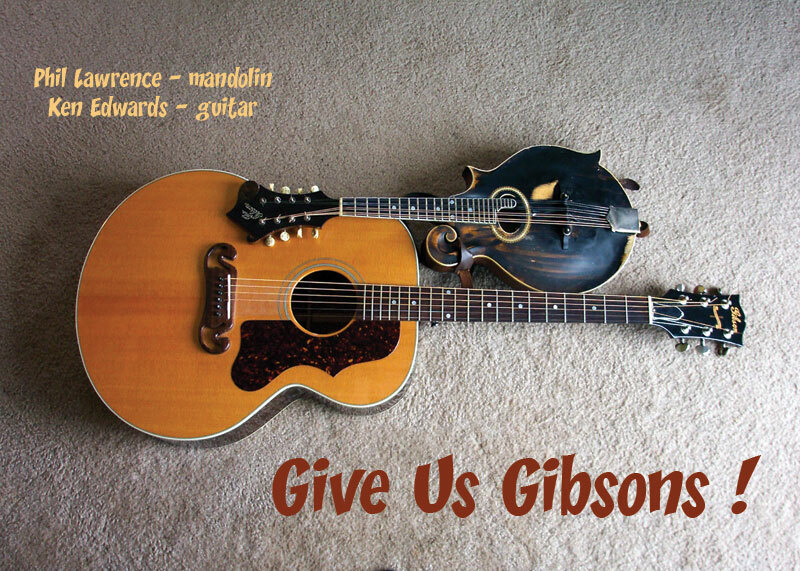 They harmonize together and Phil Lawrence adds lead guitar parts on his Martin D 28 guitar and mandolin solos with his Gibson F2 mandolin. Phil also plays harmonica on a several tracks. Track 3, "I Thought I Saw You" has Phil's best recording of his lead guitar work; the guitar lines weave around Susanna's plaintive vocals. Track 1 "Edge of Your Heart" has some powerful rocking leads. The mandolin solo on Michael's song, "A High Price to Pay" is worth listening to as is the harmonica on "I'd Do It All Again" and "The Quiet Men." Klezmer music is Jewish celebration music from nineteenth century Eastern Europe that was usually performed at weddings and other festive occasions. Its roots go back further in the past, perhaps as early as the seventeenth century, when many of the melodies were originally solemn liturgical prayers. 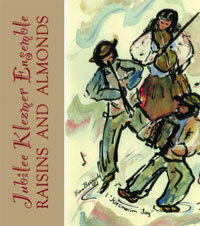 The Jubilee Klezmer Ensemble, based in Sonoma County, has played a vital role in revitalizing this unique musical genre in the San Francisco Bay Area. Paul Alexander, who plays the clarinet, is the group's musical director; Sonia Tubridy, a trained classical pianist and director of The Russian River Choir, plays the accordion; Mark Peabody of the Santa Rosa Symphony and founder of the Marin School of the Arts, plays the upright bass. 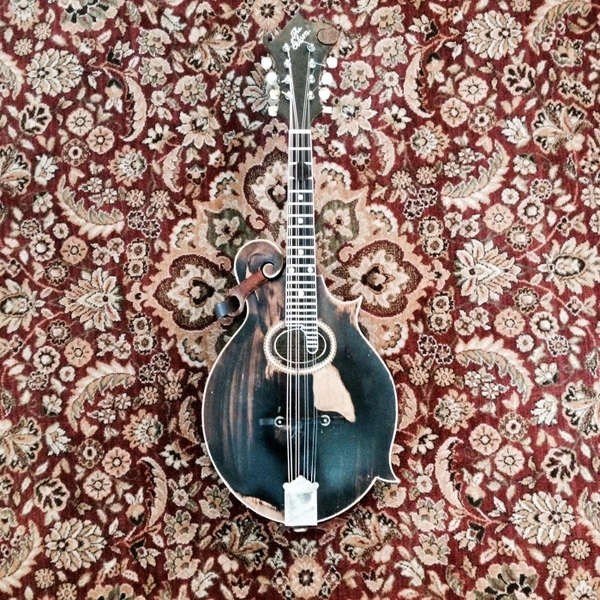 Phil Lawrence plays a 1912 Gibson F2 mandolin. 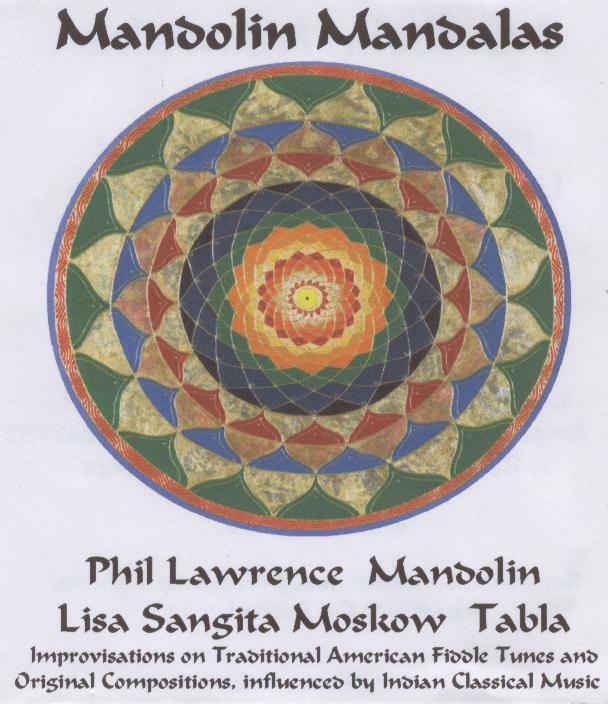 The CD has eleven traditional Eastern European instrumental pieces, one American Yiddish show tune, and three original compositions by Phil Lawrence. Freilachs, Schers, Bulgars, and Horas are usually lively joyful dance tunes played in two four or three eight time signatures. The CD has two Freilachs, three Bulgars, and one Hora. In addition, there are several slow dramatic melodies that evoke the suffering of the Jewish people and the ardent desire to attain union with God. The Andrew Sisters popularized the Yiddish song, “Bei Mir Bist Du Schein” in the 1940's: here Jubilee renders this tune playfully and with some lovely improvisations. 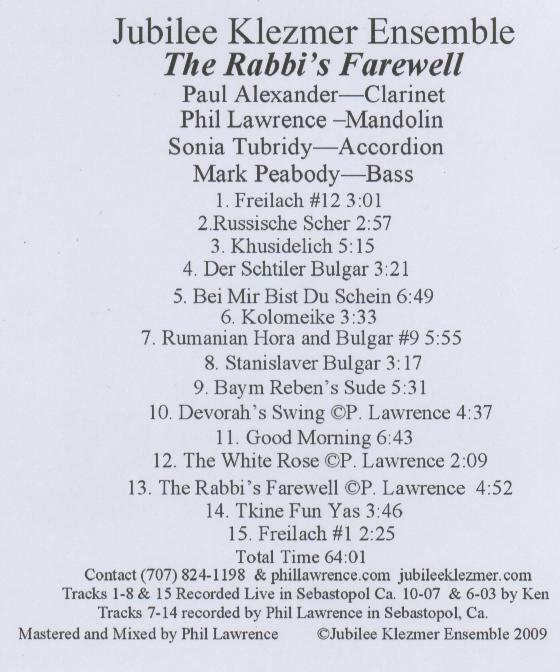 “Devorah's Swing” by Phil Lawrence, incorporates elements of swing and klezmer together; his “White Rose” is an attempt to simulate an Israeli hora; the title track, “The Rabbi's Farewell,” was written by Phil to commemorate his neighbor, Rabbi Michael Robinson, who passed away in 2005. 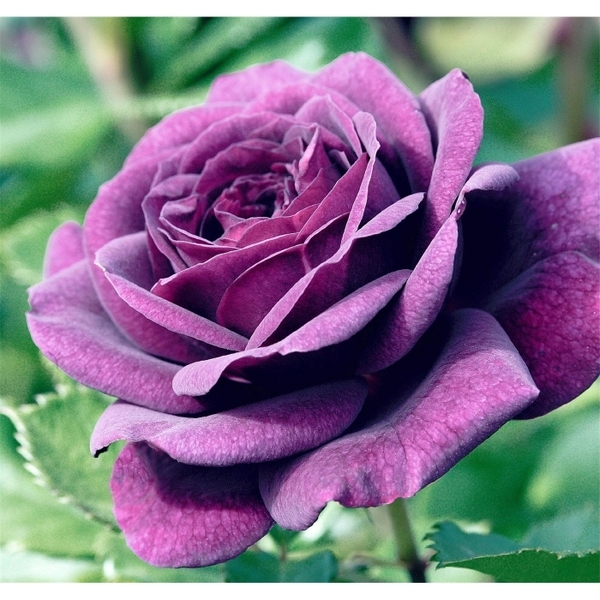 It begins as a lament and then builds to a passionate dance tempo. Tracks one through six were recorded live in concert in Sebastopol and Petaluma, California in 2003 and 2007. Tracks seven through fifteen were recorded at Mandolinimal Studio in Sebastopol in 2008. 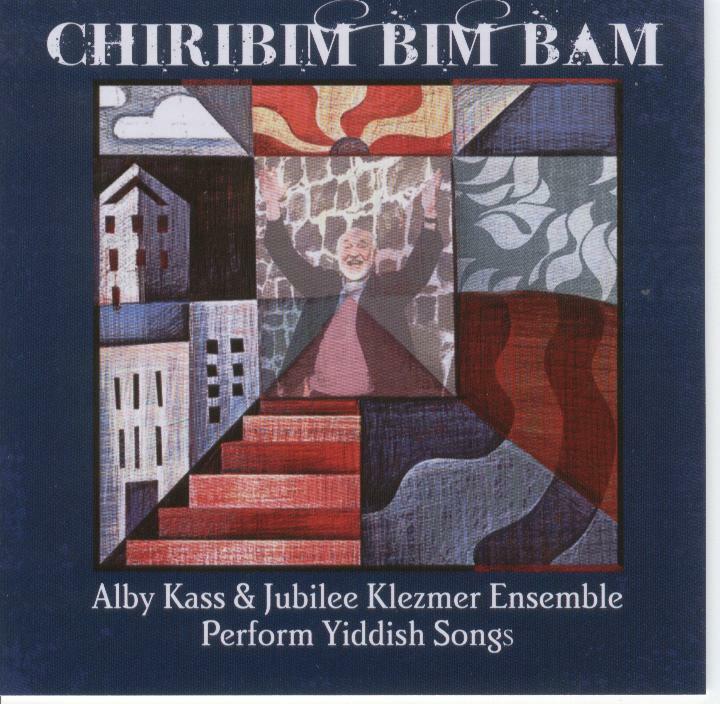 Jubilee Klezmer Ensemble has also recorded Chiribim Bim Bam , a collection of Yiddish songs with Alby Kass on vocals, performed live in concert in 2009 at The Petaluma Center for the Arts and at a house concert in Guerneville, California, and Raisins and Almonds from 2003. 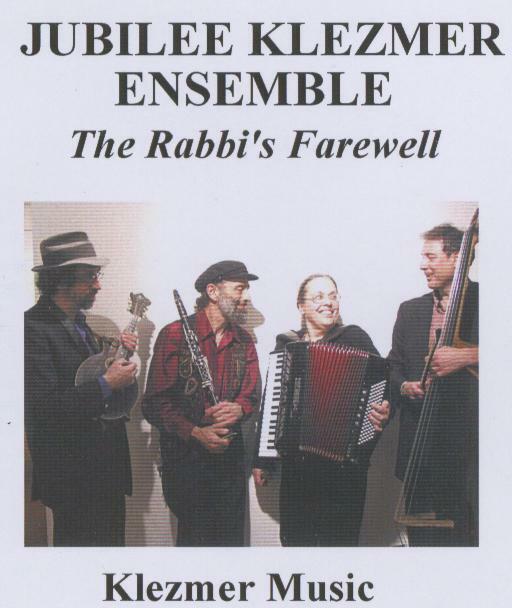 In the summer of 2000 Paul Alexander, the founder of Jubilee Klezmer Ensemble, invited Phil Lawrence to join his new Eastern-European Jewish music band. 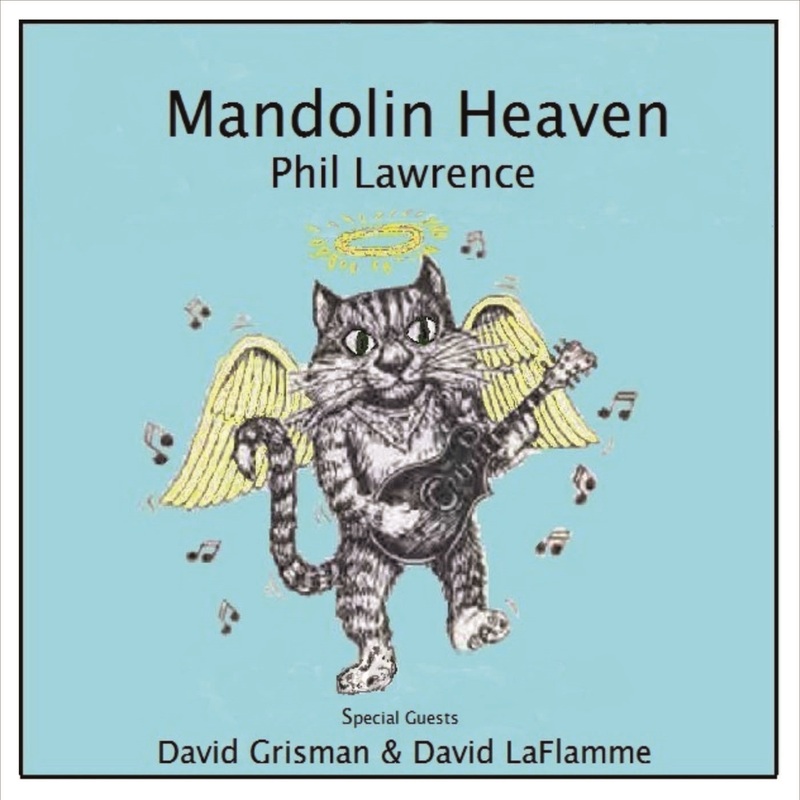 Phil has been performing and recording with this group since that time and the Raisins and Almonds CD is the result of that collaboration. The music on this CD invokes the spirit of the Old World Jewish wedding celebrations, with plenty of lively dance tunes. 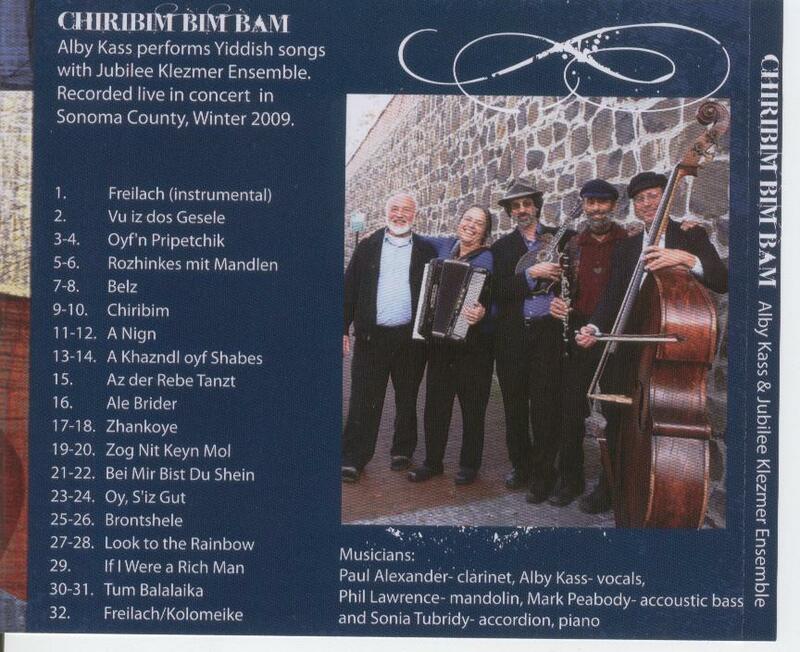 The band also produced an earlier CD, Mazel Tov. Sonia Tubridy plays accordion, Mark Peabody plays bass, and Paul Alexander plays clarinet. 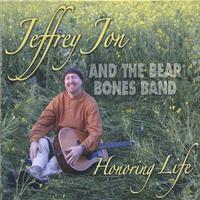 Phil's longtime Sonoma County friend, Jeffrey Jon, aka White Bear, produced this CD of his original songs and Phil plays on two tracks. 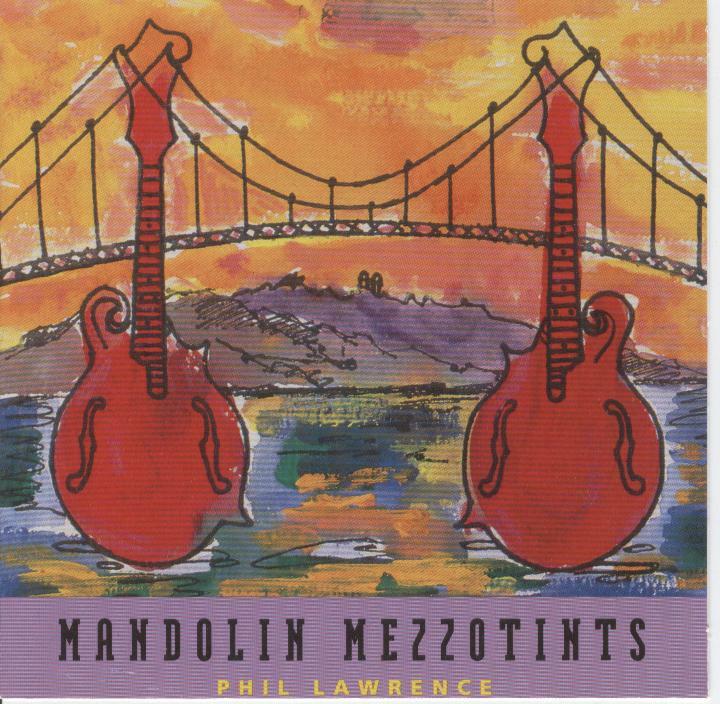 Phil plays mandolin on the last track, "The Mary Ellen Carter", of this CD, originally a vinyl LP. David Rea plays guitar on this track; he also composed the classic rock song, "Mississippi Queen." Robin Sylvester, a member of Bob Weir's band, RatDog, plays the bass. Make checks payable to PHIL LAWRENCE.